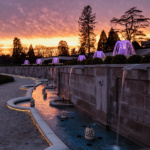 Longwood Gardens is one of the premier horticultural display gardens in the United States, comprising 1,077 acres of gardens, woodlands, and meadows. 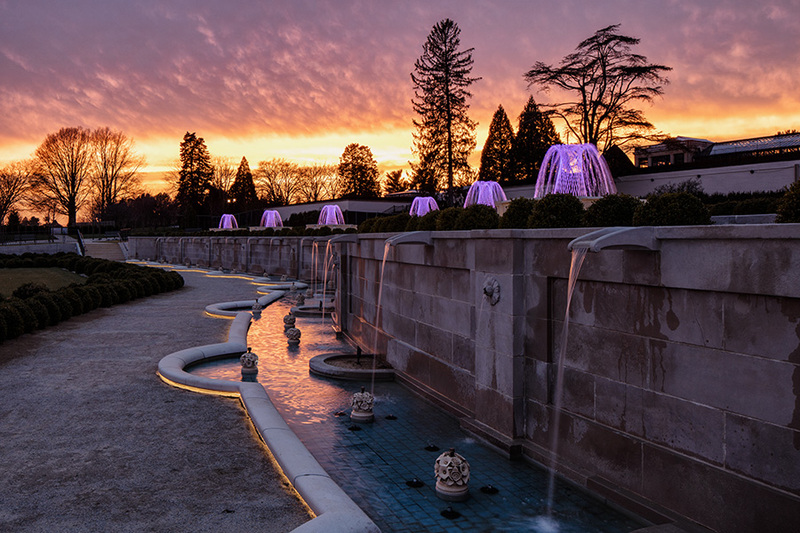 The firm’s goal was to subtly enhance and shape the visitor’s experience by concealing light fixtures and using small LED light sources when possible. 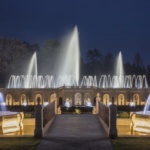 The lighting reveals the garden architecture and fountains at night, leading the eye toward the spectacle of the grand fountains and strategically spotlit garden features without drawing attention to itself. 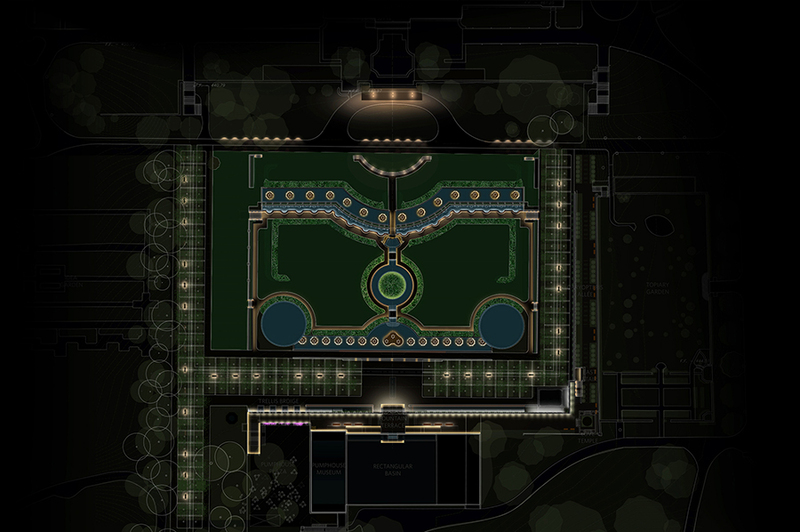 The firm created a varied lighting scheme that gives an overview of the fountain garden as a tableau, while simultaneously creating an intimate space within the garden to reveal pathways, lawns, and fountain areas up close. 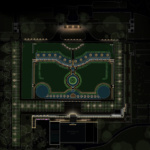 The system ties the garden to natural cycles, lunar and seasonal, so that the lighting schemes evolve in parallel with the seasons—offering a rich experience for visitors. University of Iowa campus regulations prohibited exterior floodlighting on the auditorium. The firm addressed this challenge with custom downlights with dropped glass lenses illuminating the wood ceiling and defining the building’s form. 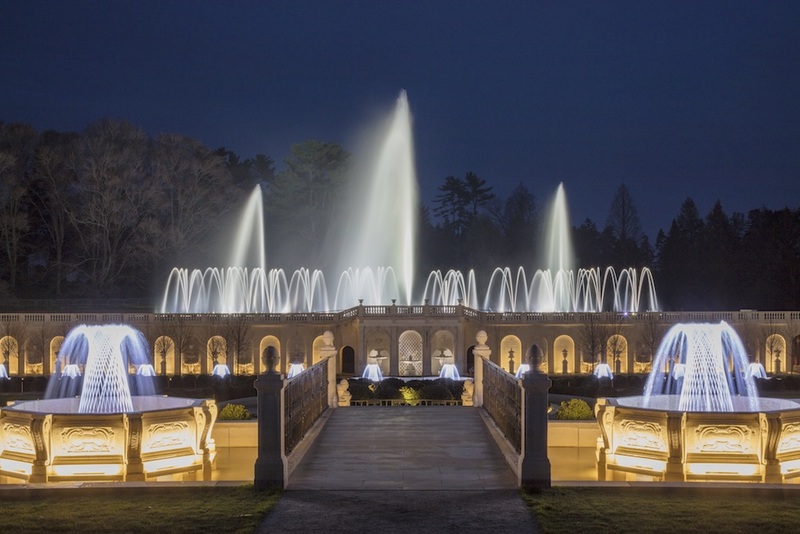 The arrangement of these fixtures resembles a magical, modern marquee. 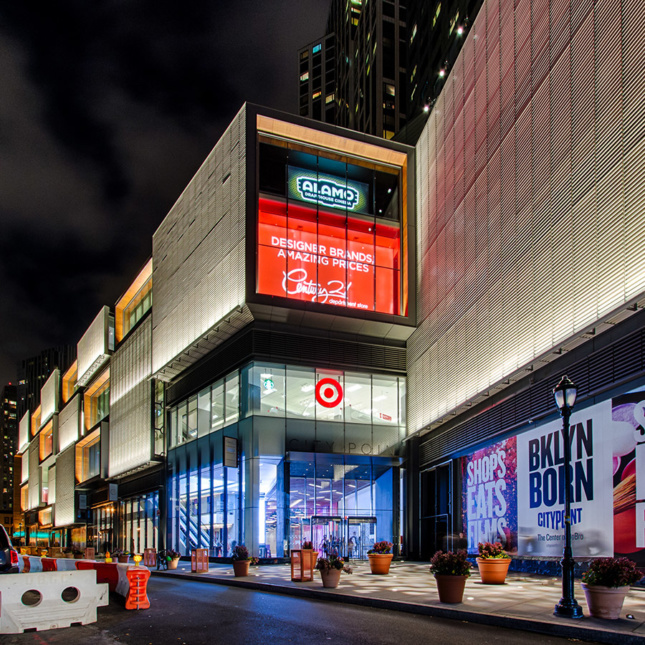 A balance of cool and warm tones on City Point’s exterior creates an elegant beacon of light that pulls Brooklyn shoppers off the street and into the building. 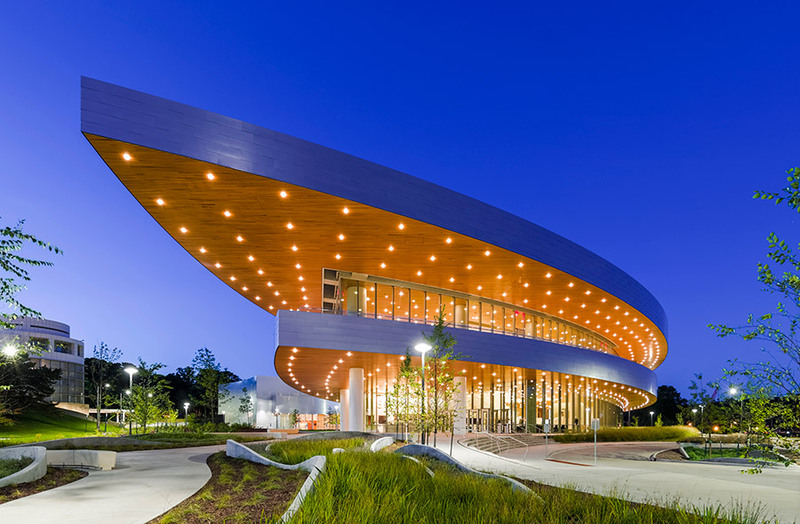 This lighting scheme was specifically designed to highlight and offset the building’s wood and terra-cotta façade.